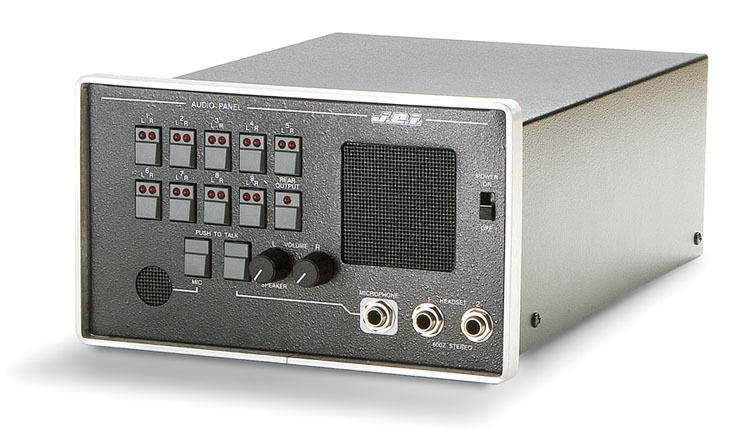 The JEI Model AP-109A Audio Panel is a 9-input audio switching unit with outputs for stereo headphones and a mono speaker on the front panel. The front panel has the selector switches, level controls, and a built-in microphone. 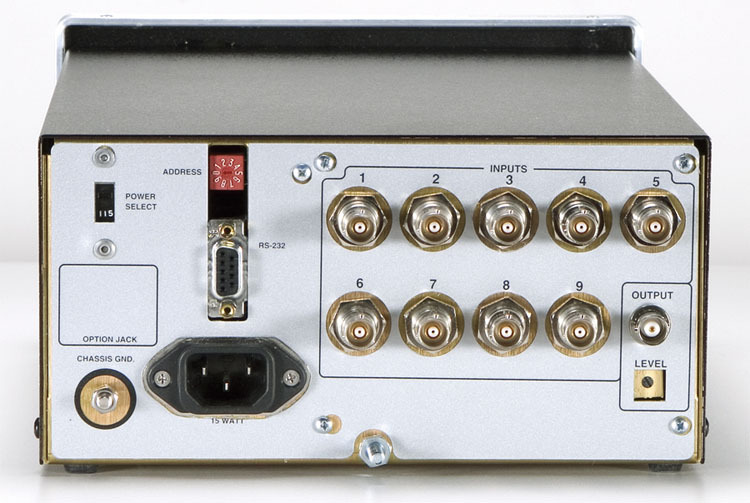 There is a serial port on the rear panel for computer controlled operation. 1. Pushbutton selection for inputs and output and an RS-232 port for computer control.